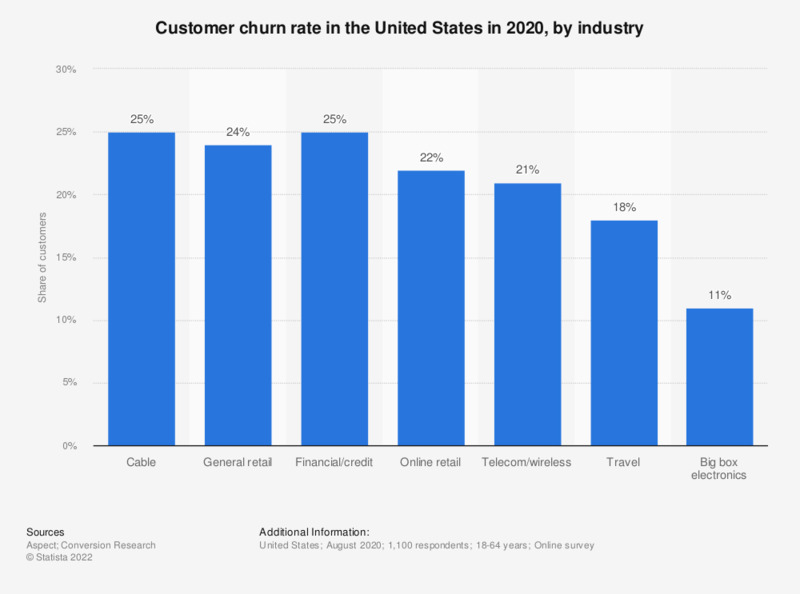 This statistic shows the customer churn rate in the United States in 2018, by industry. During the survey, the cable industry saw the greatest number of customers leaving, with a churn rate of 28 percent. Statistics on "Customer service in the U.S."
Have you ever used a self-service support portal for customer service? If you have used a self-service support portal for customer service, did you find the response you were looking for? If while using self-service you did not find the response you were looking for, what was the key issue?